Named one of the best 10 beaches in the world, you will lose yourself in this secluded paradise. This adults-only resort sits along the beachfront stretch of Maroma Beach, where the turquoise waters meet the velvet sand. Experience complete relaxation as you lounge all day oceanfront on the exclusive beach beds, or poolside with complimentary refreshments. There is no better place to celebrate creating a beautiful life together and create unforgettable memories. 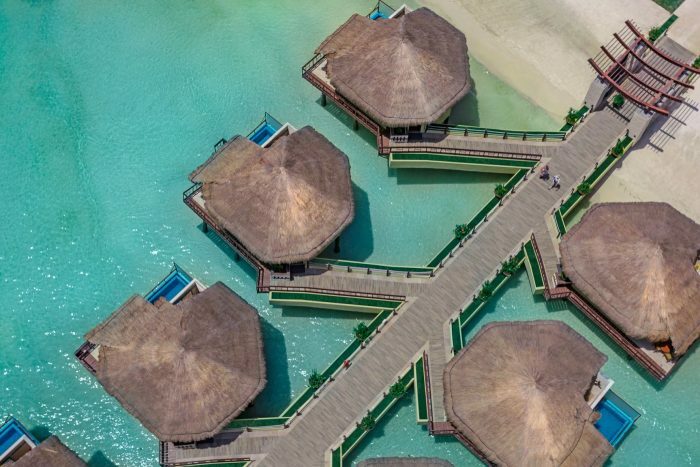 The only resort in Mexico to offer over-the-water bungalow suites with glass floors, which allows the Caribbean waters to be just under your feet! Your wedding ceremony will be always be private, as parts of the beach and pool and certain restaurants are often closed for weddings. The resort is quiet and smaller in size with not much to do outside of what the resort offers, so this resort is better for guests who want an intimate and romantic stay. We are proud to say we are one of the Karisma hotels preferred partners, so we are able to offer free room upgrades, free spa treatments, and free romantic beachfront dinners. Contact us for more details. The base package is $950 and includes up to 20 guests. It is complimentary in the North American market for guests staying in a qualifying room category for 7 nights or more, or booking a minimum of 5 rooms for 3 nights. Upgraded packages, additional guests, and add-ons are available for an additional cost. Chapel – 120 guests max, South Beach – 150 guests max, Gazebo 24 – 100 guests max, Chapel Gazebo – 80 guests max, North Beach – 80 guests max, Sky Deck – 50 guests max, Sky Massage – 50 guests max, Mio’s Restaurant Palapa – 30 guests max. The resort hosts no more than 2 weddings per day Monday thru Sunday. No weddings will be held at the same time or at the same location. 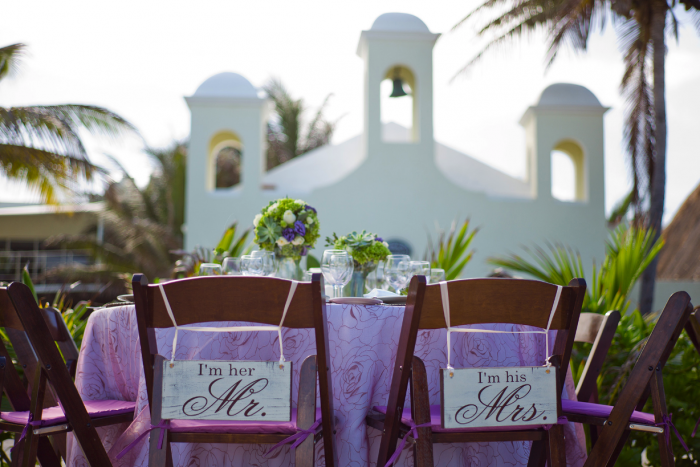 Weddings are typically held at 4pm, 5pm, and 6pm, but they can host them at any time of the day. Rooms range from $240 – $285 per person per night. Every room includes an oversized terrace with an outdoor bed and are just steps away from the beach. Guests looking for special romance will enjoy the Honeymoon Suite that includes a private jacuzzi for two and an outdoor shower. There are 157 total guest rooms with views of the ocean or garden. For guests looking for top-notch luxury, the Swim Up Jacuzzi Suite and Royal Suite Swim Up rooms include a lazy river that connects the room’s terrace to the main pool with a unique swim-up bar. They also include a private jacuzzi for two and an outdoor shower on the terrace. High-season months typically include April, May, June, July, October, and November. It is always encouraged to have your guests book their stay 9 – 12 months in advance. Given the smaller property size, the hotel tends to sell out quickly during these busy months. All rooms allow up to 3 adults max. The Villa Maroma is a 5-bedroom villa that allows up to 10 adults max. The El Dorado Maroma is located about 26 miles from the CUN airport. The resort is about 25 minutes outside of downtown Playa Del Carmen and 35 minutes outside of downtown Cancun. All rooms allow up to 3 adults max. The Villa Maroma is a 5-bedroom villa that allows up to 10 adults max. This resort is adults-only for guests 18 and older. 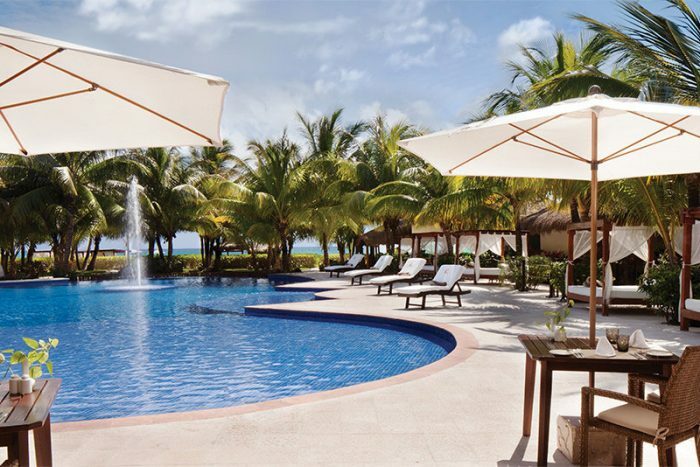 The El Dorado Maroma is located 26 miles from the CUN airport. 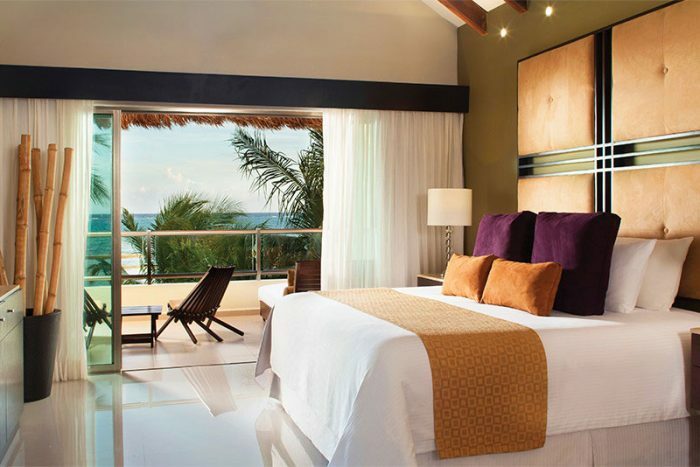 The resort is about 25 minutes outside of downtown Playa Del Carmen and 35 minutes outside of downtown Cancun. 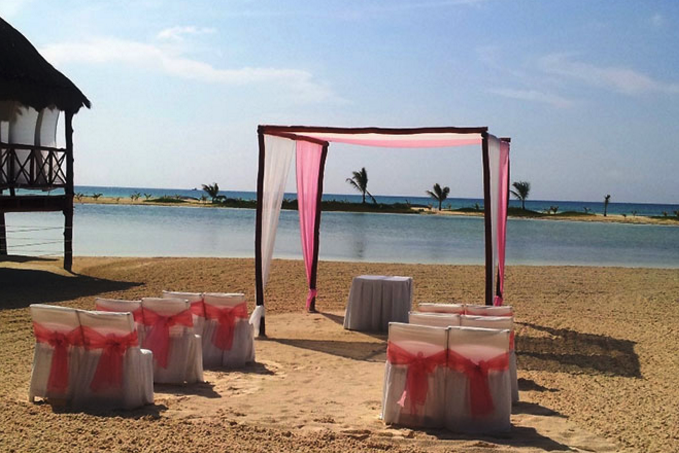 Q: What makes El Dorado Maroma such a great place for a destination wedding? 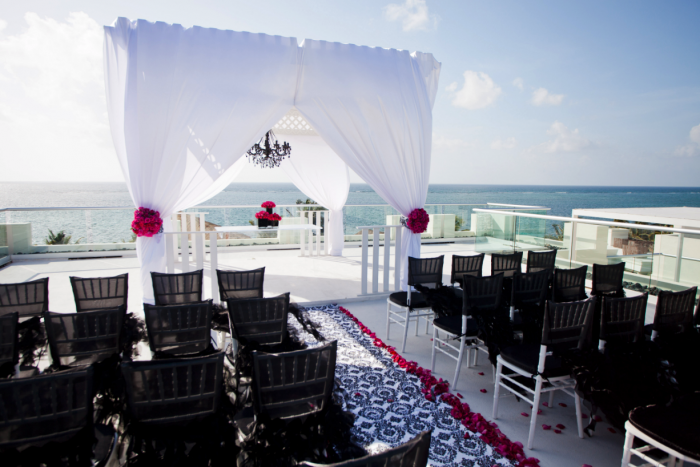 A: You can enjoy all the Caribbean has to offer and say your vows under an altar on the beach, or take your destination wedding ceremony to the next level – literally! With the Sky Deck. A: There are lots of different areas to choose from with lots of space at each of them. A: Dates sell out really fast during certain peak dates, or popular locations, but not to worry as we have a large variety of them!